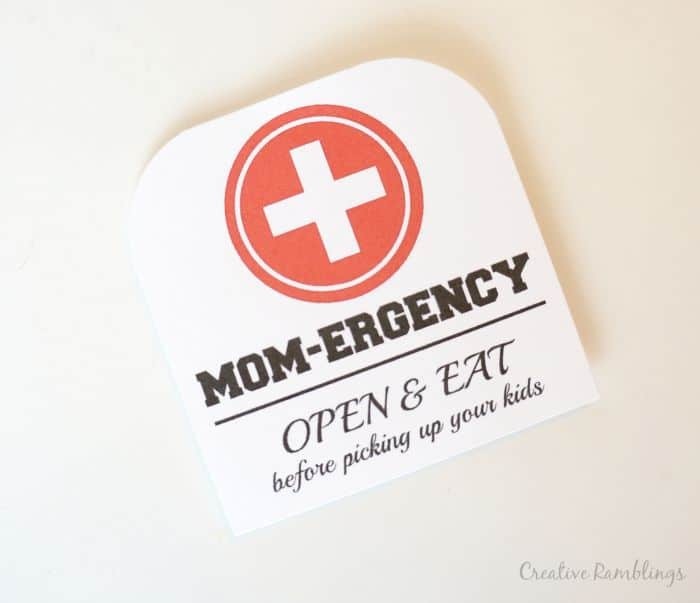 Have you ever picked up a kid from school who was just famished, so much so they could barely pull themselves into the car let alone tell you about their day? I’ve been there. Did you know that this phenomenon happens to Moms too? Yes, there have been days where 3pm hits and I can barely summon the energy to think about making dinner, let alone entertain my kids or be productive. 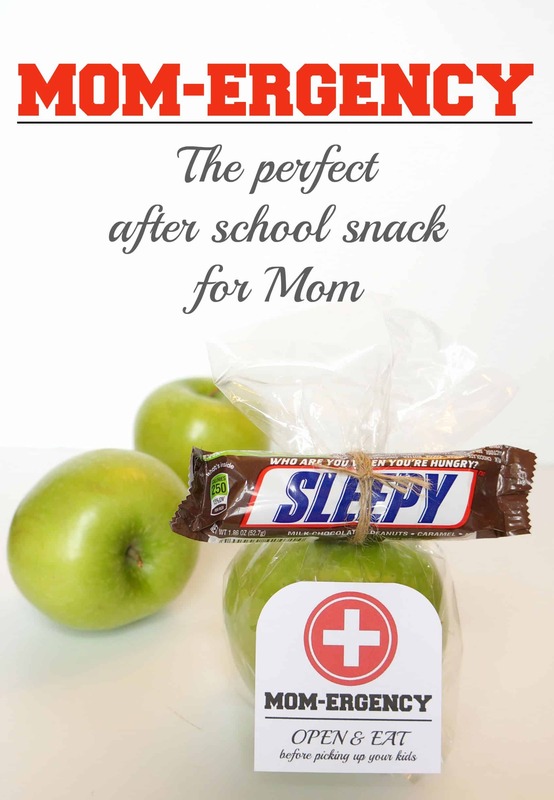 I’ve come up with a solution for Moms everywhere; the PERFECT after school snack for Mom. When I am hungry I am not myself. I’m crabby, short, not fun to be around. Mid afternoon is the worst for me. My kids nap most days so I spend those precious 2 hours being super productive and typically don’t take the time to snack. When they wake up bright eyed and bushy tailed ready for play time with Mommy and evening activities, I’m usually wiped out. My solution, a simple combination of my favorite foods all packed into one perfect snack. I’m dubbing this the Mom-ergency snack. A snack that will help a Mom make it through school pick ups, the bus stop, sports, band whatever kids need. Not only can you keep this perfect little snack on hand for yourself, you can whip a couple up for other Moms in need. 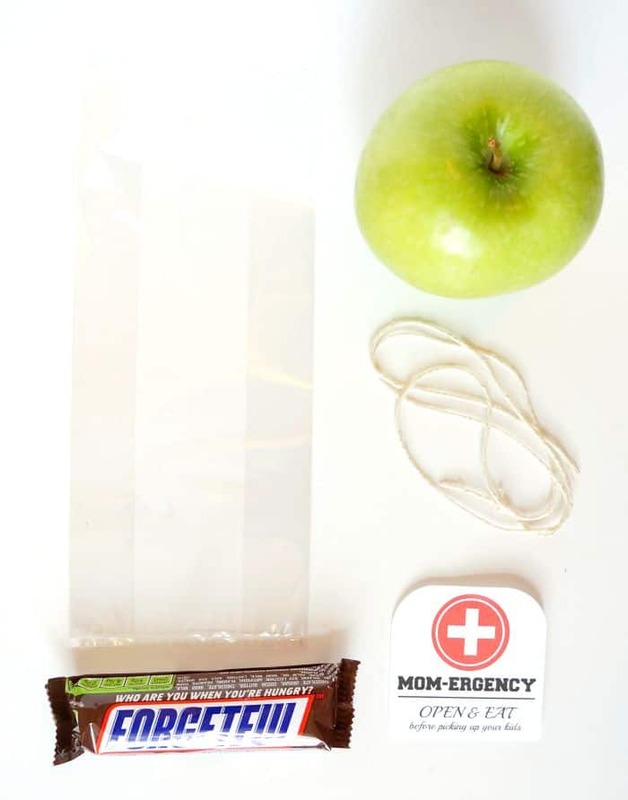 Think about taking some of these Mom-ergency packs to the bus stop or soccer practice. Seek out Moms who just can’t even, and gift them with this perfect snack. I love tart apples combined with caramel and chocolate. 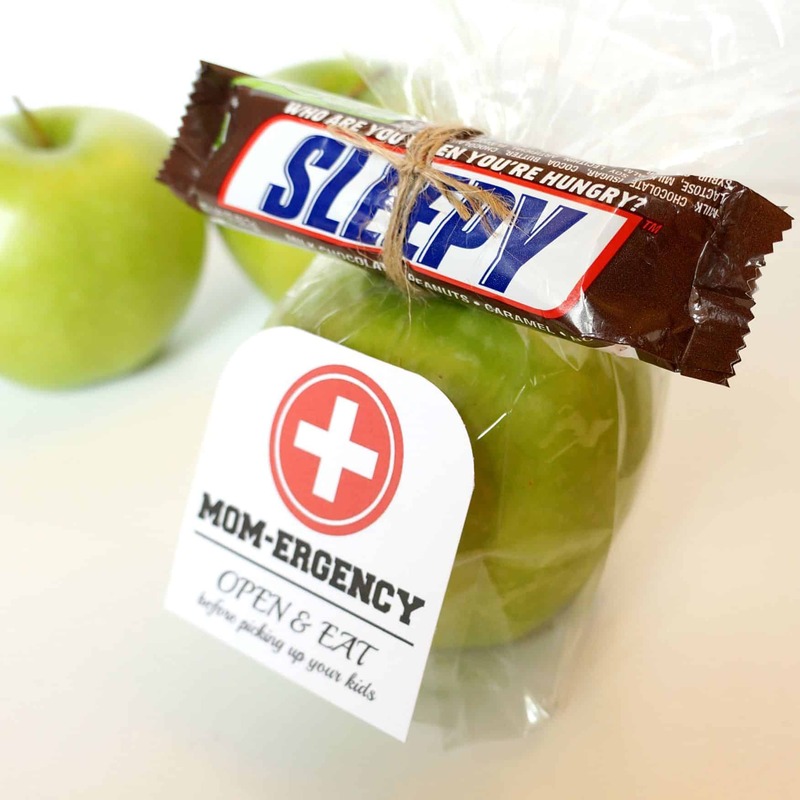 Each Mom-ergency snack contains one granny smith apple and a SNICKERS® bar. These bars are full of roasted peanuts, nougat, caramel and milk chocolate. SNICKERS® Brand handles your hunger, so you can handle your afternoon. I tied each pack together then taped on this little tag. I am all about simple living, it doesn’t get much simpler than this. You can print off a sheet of these tags below and make your snacks ahead of time. Keep a couple in your car, your purse, or on the kitchen counter. A filling snack during that mid afternoon slump helps me be a better Mom, seriously, my daughter can back me up on this. Not only is this snack filling, it will make another Mom smile. In all seriousness, motherhood is hard and we need a pick me up just as much as we need other Moms to support us. Make some of these snacks for a few Moms you know and watch them smile. 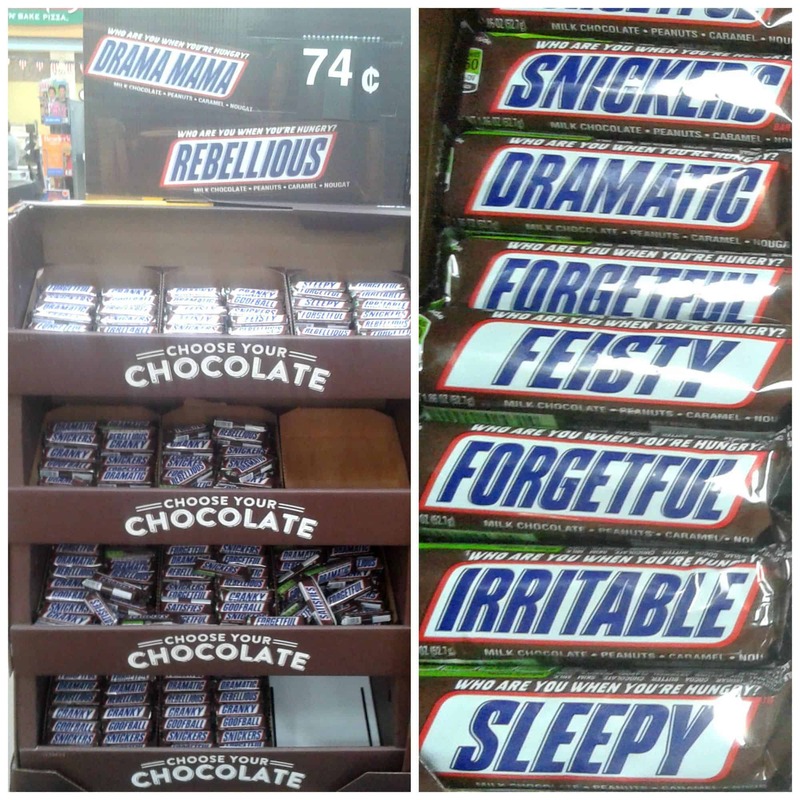 You can pick up some really fun SNICKERS® bars at Walmart right now with personalities on the wrappers. These are located in a display you cannot miss near the checkouts. Want to have even more fun with SNICKERS®? Take this personality quiz and find out who you are when you are hungry. Me, I’m a Princess. That about sums it up. Be sure to share it on social media with your friends when you are done, see what they think about the personality. 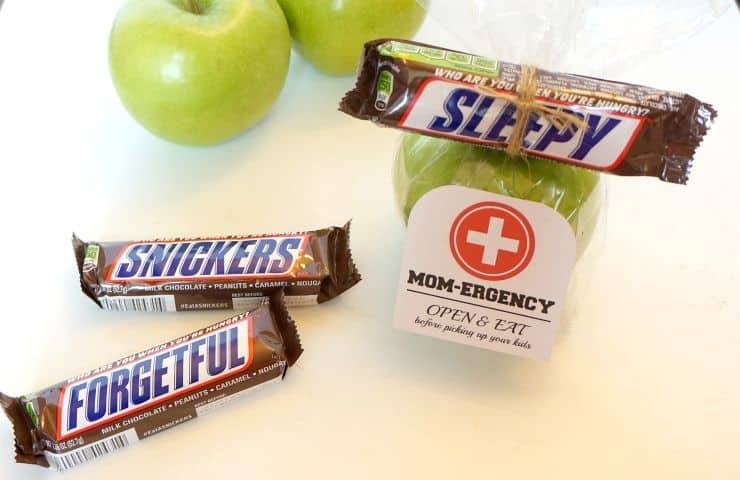 Be sure to check out other great SNICKERS® ideas. I’d love to hear about a time when you most need a SNICKERS®!